What would you do first if you were just getting started with Social Media? This is the first thing I do when I set up an online business, or a new niche site. It's a smart move, even if you're not quite ready to jump into all (or any) of them just yet. Mainly because you want to secure your name or brand there, but also so that those accounts can start to age and establish. Another good reason to set up these accounts is because your profiles will contain a link to your website, and they count as the inbound links you'll need to get that site indexed and to improve your search engine rankings. If you are not already using Facebook, Twitter, Google+, Twitter, LinkedIn, etc... NOW is the time to start. And if you have those accounts but you've been ignoring them, NOW is the time to start paying them some serious attention. There are major changes going on in Search, and around the Web in general. Social Media is playing a big part in how Search is changing, which is moving toward "social proof" instead of "link proof". Going forward "Social Media Rank" will be even more important than PageRank. I've added Gmail to this list for two reasons. 1) Because you may want to outsource email, or go mobile, in the future and Gmail is the easiest way to do that. And 2) so you can set up a Google+ profile from your business/niche Gmail account. There may be others, but these are the 6 I currently start with out of the gate. There are two camps regarding Social Media. Those who believe it's for conversions, and those that believe it's for conversations. Ideally, you will use it for both. I don't personally recommend any particular Social Media course, or that you even invest in one. In my opinion, Social Media is more about personality... and serving your market. Given the unique elements of your business such as angle, market, product, character, etc I don't feel like there is a "one size fits all solution". 1. When you create your profiles use your name or brand, and use your keyword phrase in the description. The proximity of that keyword phrase to the site link in your profile will help the search engines determine what your link (site) is about. 2. Using keywords will also help people who are searching for you (and for what you offer) find you more easily on those networks. 3. Search out the Market Leaders in your niche and Follow/Friend them on each network. Put them in a group where you can easily watch their updates for ideas, and also so you can respond to and/or share their updates. 4. Search your primary keywords on Twitter, and save those searches so you can follow topical conversations. You'll find opportunities to join the conversation, answer questions, and get involved with your market in a personable way. With my sites (generally niche blogs), my objective is twofold. The first is traffic & sales. The second is to increase my reach in that niche, and build a strong readership - which goes a long way with merchants and brands that may want to work with me in the future. If you have an ecommerce site, your objective may be exposure and customer service. People love interacting with brands and stores online, and getting quick answers & personal resolutions. You can use Social Media to make direct sales by offering special offers or coupon codes. You can also use it for market research, and reward your followers for surveys & feedback. Consider all the ways your business can benefit from Social Media. Make a list of what will work best in your market, or with your model, and keep those objectives in mind with every update. And test, test, test. There are tools you can use such as Posterous and HootSuite to make it easier to manage multiple Social Media accounts. Done right, these are very useful and can be very beneficial. With HootSuite for example, you can load up scheduled updates such as daily tips or seasonal announcements. My advice: If you are going to be on Social Media, be ON Social Media. Respond to questions & replies in real time. Share interesting updates from other market leaders as they happen. Reply to your market while the conversation is hot. What does your market most want to hear from you? You should take some time to ponder this question, and jot down a list of ideas that come to mind. Do they want tips, discounts, resources, ideas, humor, customer service, a combination of these things, or what exactly? You might even ask them! If you keep up with industry news, keep tabs on relevant holidays & observances, watch the market leaders in your niche, follow relevant the hashtags & conversations, and always keep your target market in mind (who they are, what they want, etc)... you should have no problem coming up with cool content to share. One thing to keep in mind is that you don't want to always be self-promotional. You do want to share your content, and engage your market about your topics & products, but you also want to share other things going on in the market. Keep an eye out for great videos, interesting forum discussions, cool Facebook pages etc that you can share on your Social Media channels. When you're at a loss for what to post... ask questions. Even better, let them ask questions. If you would like to see live examples from my newest niche site, see my Facebook Page and Twitter Stream and also check out my Tumblr page. Using Social Media is more about being a real person, or having a personality behind your brand. Imagine being in a room full of people who are highly interested in your topic. If you try to "hard sell them on hello" you're going to get the cold shoulder. Twitter, Facebook, Google+, Tumblr, etc - they are all "rooms full of real people" that read blogs, buy products and share interesting content with their friends. The last two phrases are so true. I hate when brands try it so hard to sell me something on social media (mostly on facebook). I hear about them, i know what they sell but i don't want now! Btw, nice tutorial! U believe is really helpful for people who just put a step in this land call Social Media. Lynn, I understand you publish some physical product affiliate sites. I think you mentioned once a furniture or patio furniture site (sorry if I'm wrong). My question is how do you engage in social media with one of those types of sites? Do you even bother? Also, I know it's a cardinal rule for affiliate marketers not to disclose their niches, but I'm going to ask anyway. You give a TON of great advice on this site. I'm curious if you could do a post or show us some of your high-earning affiliate sites (i.e. physical product affiliate sites) for ideas on content and pre-selling. I completely understand if you prefer not to reveal your sites. I just thought I'd ask. I don't disclose my niches outside of my newest one. You can read the case study here. To answer your question, yes I bother 🙂 It's best to have a blog set up alongside an ecommerce-style site so that you can target the informational keyword phrases - as you'll be targeting the commercial keyword phrases on your product pages. With the blog, you can build a mailing list and interact more "socially" across the various social media channels. I've look through your "Low Carbo Traveler" site and saw those amazon products that you are promoting. How do you pull out those products (descriptions, reviews etc) right out of amazon to create an ecommerce site of your own? Great point about securing your brand on the different platforms. I would like to add one to the list...LinkedIn. Not sure if you left that one out on purpose or not. I do, however, have an additional question, Lynn. Do you use automation for social media? If so, what and how much? The reason I ask is because I find that keeping up with it is most tiresome. LinkedIn is great for corporates, or for service based business. Not necessarily for every niche site (like my low carb blog). I don't use automation. I post different things in different ways to each of my social media channels. I do use my mobile, and great apps for each channel, though - which makes it quick & easy to do on the go. Keeping up with it might be an issue if you try to read all your content streams on each channel, but I don't. I read specific searches I save sometimes, but for the most part I am creating content and then responding to the conversation ON that content I create. Period. Hello Lynn, we missed your posts. What i actually do when starting a new niche blog or website, is to create an account at Posterous. This brilliant service allows you to link your Posterous account with all the other differnt platforms like: Blogger, WordPress, Tumblr, Facebook, Twitter, LinkedIn... and dozens of other services. 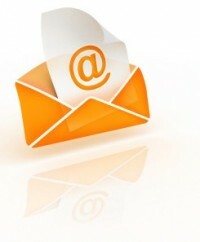 When you post something by email, this service distribute it to every other service you linked with it. The good thing about this is that you get your content distributed to as many people as possible and of course get some backlinks with each post you send. That's true, and Posterous is a cool tool. However, I prefer to update each social media account manually. It might sound crazy, but it only takes a few seconds, especially from my mobile. The reason is because it creates irrelevance on some channels, and leaves out important things on others. For example, I use hashtags on Twitter updates and I don't want those showing up on other channels where they would be irrelevant. I also @ people I am referencing - again, not relevant on other channels. When I update at Tumblr, I use Tags for each update - which you can't do with those automated tools. When I update at Facebook I @ Pages & People I am referencing. So with that being the case, I just copy my main text after typing it out, then paste it into each mobile app and add the other things as I update (hashtags, @'s, tags, etc). I just don't understand where the time comes from to keep track of social media AND produce interesting, relevant content AND work 40 hours AND spend time with a 5 year old. Maybe I just process slowly, but the social media keeps falling to the side while I try to get my freelancing bicycle up to speed. Am I missing something? To answer in real time, don't you have to be "on" all the time? No, but you *should* be ON when you post 😉 If you're auto-tweeting around the clock for example, and someone replies or asks a question, you'll miss responding in a timely manner. I generally manage my social media channels mobile. I get alerts, check it & respond - all in a matter of seconds usually (assuming I'm available right then). Doing it mobile allows me to squeeze it in during free time while I'm waiting in line, waiting for water to boil, waiting for my daughter to get out of her dentist appointment, etc. Just here and there. I have many of the same "issues" that are discussed above. Besides following on your mobile (I'm setting up my iPhone to have access to these sites), do you set aside a specific time to post to your blog, Twitter, etc., or do you do it "when the spirit moves you?" Time management is a big issue for me. Both. I usually do all of my blogging early in the morning, then go ahead and update my social media channels when the blog post is published. I write in the morning because it's when I am most focused - so each person's timing would be according to their best time of day. For other social media updates, I do them as the idea hits me. At dinner I take a picture of my food and send it to my Low Carb facebook page, for example. It only takes a few seconds. Or if I have a random thought that is share-worthy, I tweet it or put it on my Facebook page, etc. I don't really make a big scheduled deal out of it. I think it's more important to share relevant things as they're happening, or as you're thinking them, than it is to get on a strict schedule - which isn't always conducive to creativity. It Takes a lot of time to be present on all social networks and you must be relevant if you want to resist in social media. People know when you tell bulls###! Personal i use just Facebook right now because i don't have enough time for others. Great post, Lynn. I just signed up for StumbleUpon. Slowly adding more social networks to my life and business. Always good to be reminded of what I should be doing to promote the business. I have set up Google+ for each of my separate niches, yes. Each has it's own Gmail account of course, so that makes it easy. I doubt ClickNewz readers are interested in my low carb lunch, or low carb dieters are interested in musicals I like. LOL. So it only makes sense to have separate social media accounts (twitter, etc) for each niche where you have a strong presence. Not just for each Gmail account, but for each niche. Like many above, I think managing that many social media accounts can be challenging... But having five or more Gmail accounts? I don’t think I could do that without going insane. Not because of the passwords. Because of the discipline needed to check all of the accounts every couple of hours. However, I found a trick while researching for multiple accounts of Twitter. Say your email address is john.doe@gmail.com, you can actually send an email to joh.ndoe@gmail.com or any other combination and you’ll still receive your email. I tested this a couple of times and it works. Another one I thought of was to set email forwarders from my hosting account to Gmail so that I have different emails but I can still manage them from one place. I’ve yet to set up more accounts, but I’ll do it this week as I want to get better at this social media thing. Which one of the two ideas above you think is best? Great article, i like how you insist on remembering we sell to real people and thus we also need to act and look like real people. Even if we take a look at huge companies, we can see they started pushing real people to the public (Bill Gates, Zuckerberg,Matt Cuts, Steve Jobs, etc.) even though they could just use spokespersons and enjoy a quiet life. But these days a brand needs to have a face, not just a pretty name. Southwest Airlines is another great example. Definitely putting faces & conversations to the "brand". Love their blog & social media interaction. Makes for a great example! The best thing about social media is that they help you create a bond between you and your customers which leads into more sales. What a great article, for online businesses just getting started, social media is like a maze. Your articles are very helpful, I'll be back! This was a timely post for me, Lynn. I'm in the senior citizen class these days but still open to new ideas. However, I've been resisting social media until now. Being a newbie, my first site is still pretty basic. Your post has given me the nudge I needed to expand my web presence. Thanks for these social media tips... Did you put Google+ at the top of the list because you favor it over the others now, or just because it's the newest? I still haven't gotten onto that particular bandwagon, but I know I probably should! I've just spent the better part of two days trying to claim Google+ authorship on one of my sites. What a nightmare! Still not sure it's working - waiting a couple of hours to see if things 'work'. That said, I think it is important, and will persevere. P.S. I'm also finding commenting on all social media fronts a time challenge. Usually I agree with “laser targeted” lists, however this is very tricky if you run, say 3 or 4 different web businesses. You could , setup a Facebook Page, Google Profile, Twitter at minimum for each. If you have 4 business, that would be 12 different basic social media sites to maintain. but it would still be kind of crazy keeping up with interacting in a REAL way. In some cases, I think it’s better to brand yourself as the person who runs sites in different niches, and just have one of each of the main profiles I mentioned. You can still build lists in Google +, Twitter, etc, interact as a REAL person, and manage to keep your sanity in the process, while you focus on building content and working on conversions for your sites. Yes, on one had if you ever want to sell the individual niche, you could pass on a populates set of social media properties. Or, if you are keeping niches for yourself, you'll keep growing your YOU lists. and offer advice, etc. I've been at it since 2004. The thought of having 12+ social media profiles to content with , plus all that and a day job is madness. I'd rather take the hit, and be a little less laser targeted, and have a life. Just my two cents. Your thoughts Lynn?